Can you believe that the month of April is almost over? Crazy right? Long runs around the lakes, roof top happy hours, and sunshine! Now lets talk about the weekend! Did everyone have a great weekend? Do anything fun? I hope so! My weekend was low key, but fun! And the days went by way to fast! Friday night I was exhausted after a long training week, but I perked up with a little sushi and good company! Have any of you ever heard of Redneck Life? The game is similar to the game of Life! Only the person with the most teeth at the end of the game wins! And with 12 teeth left at the end of the game guess who won? ME!! I don't think I have ever laughed so hard playing a board game before! Seriously, check it out! Saturday was spent relaxing, and celebrating! My best friend Katie was up in Minneapolis celebrating her 25th birthday, and other wonderful life happenings! Her and her husband are expecting their first little one! I could not be happier for her and her husband, they will make wonderful parents! 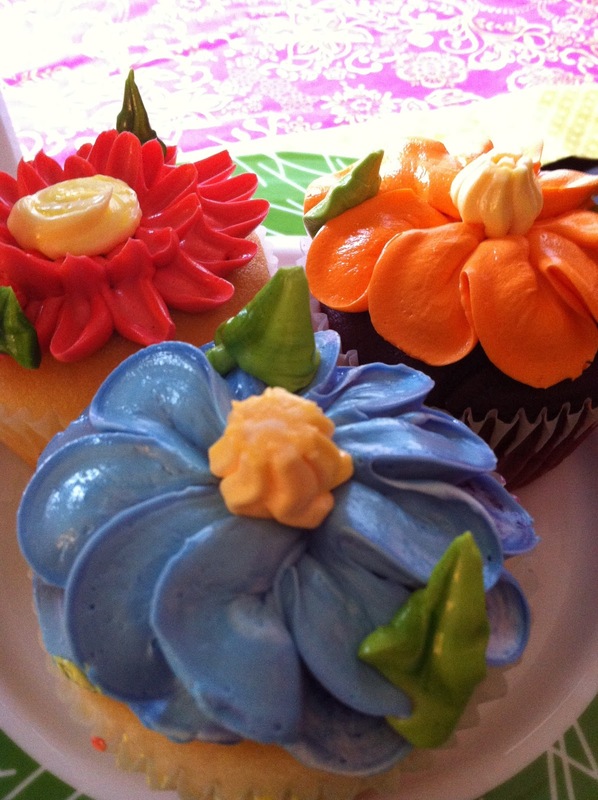 Shopping, cupcakes and a pasta dinner from Broders Pasta Bar was all on the list for celebrating! Broders Pasta Bar was recently featured on Diners Drive-In's and Dives, and I can see why! The food was delicious and the atmosphere was cozy! We got take out, but I cannot wait to go back and dine in! Sunday was spent playing catch up! A lazy relaxing morning followed by errands and cooking made for a perfect weekend wrap up! Now, shall we look at a few of last weeks recipes? First let me start by saying I loved every dish! Especially the Tilapia and the Zucchini Enchiladas! Lets start with Ginger and Cilantro Baked Tilapia! Delicious, I thought the sauce was delicious and flavorful! The dish came together in a snap, which was a good thing because I was starving after a beautiful walk around Lake Calhoun! This dish got a thumbs up from my taste testers! Up next, our veggie packed Greek Quinoa Salad from Eclectic Recipes. I thought this salad was good, but could use a little more flavor! I wish I had the greek seasoning my dad always uses! Grilled chicken would pair wonderful with this! And the final recipe I tried this week was Skinny Tastes Zucchini Enchilada's! My good friend Brielle came over and I made these for her! She absolutely loved them. We used greek yogurt on top of ours in place of Sour Cream and the yogurt added the perfect amount of tang! I didn't grate my Zucchini I simply just chopped it up! Also added a bit of cumin in there for a kick of flavor! Make these, my entire family (my parents and sister) made these as well this week and they got a huge thumbs up from all! I am making the Spaghetti Squash Sesame Noodles with Edamame tomorrow! The squash is already prepared! I will have the review on that tomorrow as well as a new line up of recipes! I have a great recipe I cannot wait to try out for Cinco De Mayo! Stay tuned! Have a fabulous day everyone, and Happy Monday! those cupcakes look sooo good...frosting is my favorite! You'll have to post that spaghetti squash recipe and let us know how it turns out! I'm excited for farmer's market season to start too! And those cupcakes look so pretty, ALMOST too pretty to eat...ALMOST! congratulations. my friend lives in Minneapolis and she was saying how it comes alive during the summer. yes, definitely take advantage of it. it's nice you are making friends and scoping out the city.. exciting.